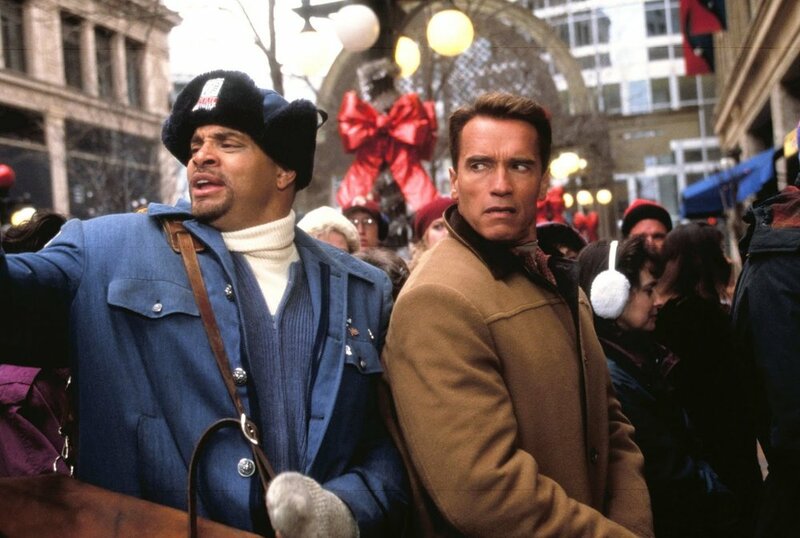 ﻿Jingle All the Way is a 1996 holiday comedy film starring Arnold Schwarzenegger alongside the comedic Sinbad. It was directed by Brian Levant and produced by Chris Columbus. Levant had experience behind the camera with The Flintstone's and Beethoven, both were effective kids pictures. Jingle All the Way proved to be a fun kids movie, but it also entertains adults. It’s a fun feature that has a great atmosphere and entertainment for the whole family. Howard (Schwarzenegger) is an overworked mattress salesman that has been spending too much time at the office and not enough with his family. His son, Jamie (Lloyd), wants the hottest selling toy of the Christmas season. An action figure called Turboman. The problem is that Howard never bought the toy, and it’s Christmas Eve. 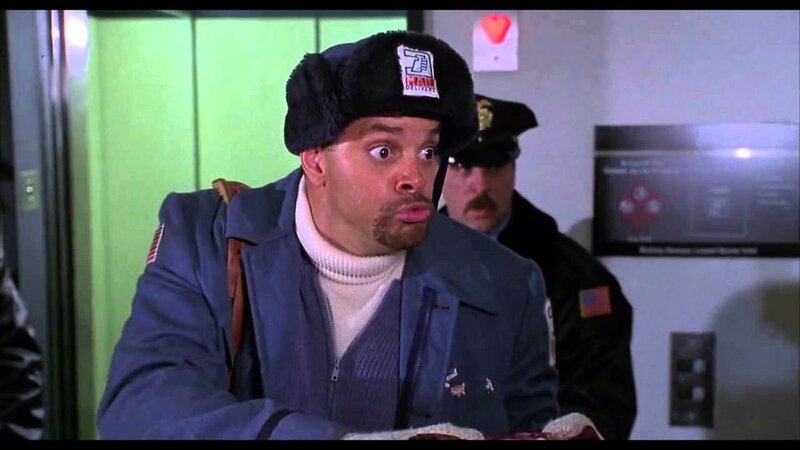 That means Howard will have to fight his way through the horrendous shopping crowds, including a sociopathic mailman (Sinbad), in order to fulfill his son’s Christmas wishes. It was a success at the box office, dragging in $129 million worldwide. It was met with good reviews, but critics complained about the focus of the movie being on the commercialism of Christmas. Those complaints gained some serious traction, and the movie had gotten a bit of a negative response. But it quickly died out, and the film had begun to air regularly on television during the holiday season. Arnold Schwarzenegger had only starred in a few comedy films before this one. The bulk of his portfolio is made up with action films, but Jingle All the Way was a change of pace. The story is really basic, and it plays it safe with the plot. This was another gripe by critics. But I think that the simplicity brings more out in the characters. This is less about the story and more about watching Arnold and Sinbad act around each other in a Christmas setting. The cast is great for this movie. Even Jake Lloyd. He wasn’t nearly as annoying as he was in Star Wars: The Phantom Menace. Phil Hartman is perfect for the role of Ted. He plays a scummy neighbor so well. The way he acted and his mannerisms, they made me want to punch him in the face. I would say that’s pretty convincing acting, considering how much I adore Hartman’s comedic genius. I also liked Sinbad. He was great and worked as the comic antagonist. It’s interesting that Joe Pesci was originally intended for this role. I am a big fan of Arnold Schwarzenegger films and found this comedy to be hilarious. I remember seeing this movie with my family during the 1996 Christmas season at the Northridge Fashion Center in Northridge, CA. I was a kid, but I can still recall the madness of the crowds. It was and still is a topical movie that rings true with a lot of people. This is a great holiday movie that I always enjoy around Christmas. It’s fun for fans of Arnold Schwarzenegger movies and serves as something that the entire family can enjoy. There is also a quick cameo from the WWE’s Big Show as a giant Santa. A good Christmas movie filled with laughs. Great for family movie night.